"I want to thank all those who came from other cities and countries to see this show! Chita, Novosibirsk, Kemerovo, Nizhniy Novgorod, Tula, Samara, Ulianovsk, Tolyatti, Tyumen, Volgograd, Kaluga, Irkutsk, Krasnodar, Sochi, Tomsk, Chelyabinsk, Ivanovo, Voronezh, Bryansk, Ekaterinburg, Yaroslavl, Kazan, Velikiy Novgorod, Saint Petersburg, Moscow, Ukraine, Hungary, Spain, China… Haven’t I forgotten anybody? Our family is bigger and bigger and it’s just incredible! I hope we will meet more frequently! Thanks to our beloved Artist that he brought us all together! I love you very much and thank you all for making this evening unforgettable! See you soon!" In case of copying of materials, the reference to the magazine is obligatory! "Our magazine has been issued for little bit less than 5 years already in the Russian language only. And we felt annoyed that Sergey's fans around the world who do not know Russian are unable to fully enjoy everything that is available to Russian speaking fans. And sometimes we really want those emotions given to us by our artist could be understood by every inhabitant of our vast world. Equally, we always wanted to have broader bilateral contact with foreign fans, we always wondered, how they live, what they think about this or that event. This year, after the triumph of Sergey at the main European Song Contest, his army of fans outside Russia has grown multiply. Therefore, our need to share the news and exchange the impressions has also increased significantly. 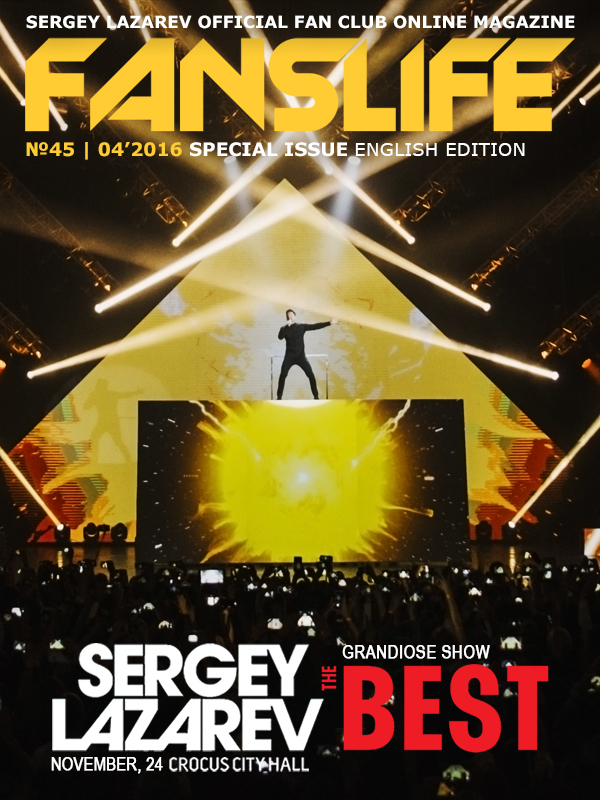 And so we came to the fact that we are finally able to realize our dream into reality – to tell about Sergey's creative work, about the life of his fans in our magazine in the main international language. We are particularly glad that we were able to do this in a special issue of our magazine devoted to one of the most significant events of this year – grandiose show of Sergey Lazarev in Moscow. The BEST show took place on November, 24 on one of the largest concert venues in Russia – in Crocus City Hall and has become the 100th concert show in the tour of our artist. 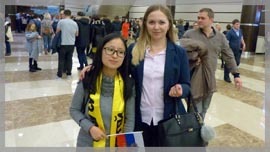 Moreover, we were able to tell about the show not only on behalf of the Russian fans. 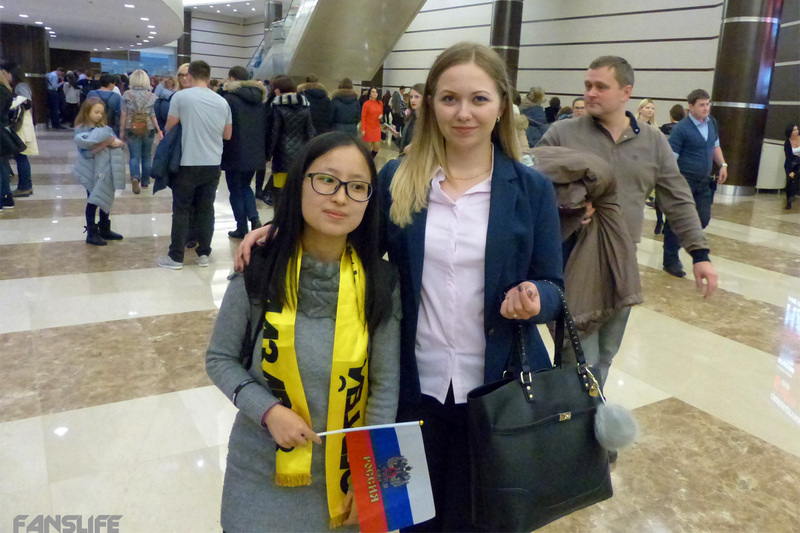 Our foreign colleagues have shared their first impressions with our readers for the first time - participants of Sergey's fan club from Spain, Hungary and China, who were lucky enough to come to the Moscow show. I'd like to express my special thanks to the guys who have become the junction link among all fans and have gladly translated our magazine for you! These are Yuliya Manina, Julia Vasileva, Kika Falcone and Natalya Fursova. P.S. We have another incredible surprise for our foreign fans, but so far it will remains our little secret to be disclosed very soon..."
sergeylazarev.ru: Sergey Lazarev is a popular Russian singer, the best singer of the year according to the version of the Muz TV and Ru.TV channels, has repeatedly presented his grandiose The Best show on the 24th of November in Crocus City Hall. The official presentation of his show was set up in November last year. 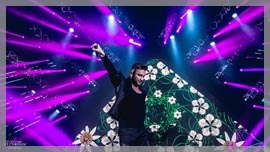 Lazarev surprised the spectators again with his theatrical concert show of the world scale. Experienced public didn`t conceal their emotions, and journalists named this show one of the brightest ones in the Russian show business. The success was so obvious that it was decided to repeat the show on the stage of Crocus City Hall. The Moscow concert was the 100-th in The Best tour. The spectators expected a lot of surprises: bright special effects, theatrical decorations, amazing 3D-instalations, light and laser shows, original costumes, favorite songs, good sound and incredible energy of the Artist! The victorious performance of Eurovision song contest in 2016 for You Are The Only One resulted in the winning in spectators` voting has become the decoration of the program. 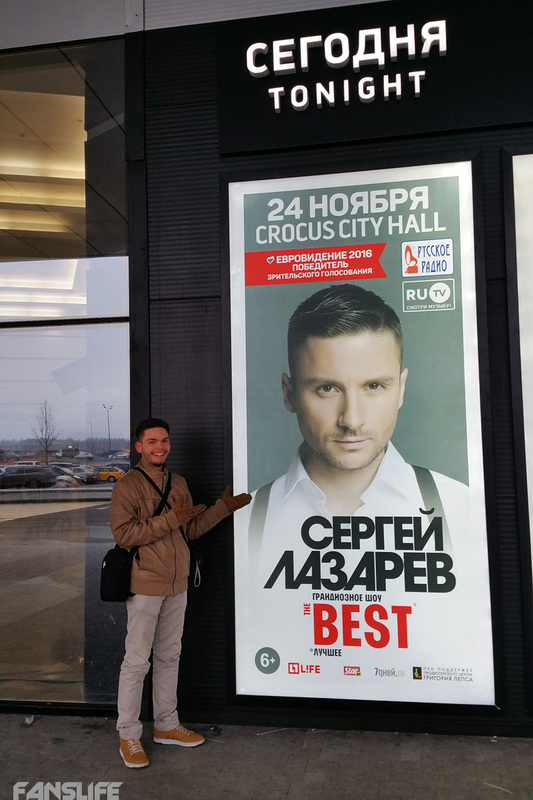 This day Sergey has repeated the famous performance on the stage of Crocus City Hall, and Russian viewers could see the production the whole Europe was applauding to. I have been prepared for this show for half a year , - Sergey Lazarev told. – Here, I am working not as an Artist only, but as a director also. I am a self-critical person and there is usually smth I am not satisfied with. But I am 100% sure in The Best program and I am happy that I could show my presentation in Moscow again . “Only forward” – the words that perfectly reflect the whole touring year of the singer Sergey Lazarev. His performance at the "Eurovision", hundreds of shootings and interviews, the plays in the theatre, and another 99 concerts of “The Best” in different cities of Russia. The 100th concert Sergey Lazarev presented on 24th of November in Moscow. This show was special for the artist, besides the fact that the fans bought up all the tickets and Crocus City Hall was overcrowded, there were his closest friends in the hall, a friend and ex bandmate of “Smash” Vlad Topalov and Sergey’s mother. This is not the first time I perform with this show, but I’m still worried, - confessed the artist during the performance. The preparation for the tour had been continuing for six months, and the work is clearly visible: Lazarev is in a perfect shape, he sings the best, the most popular songs from his repertoire, climbs up to the complex scenery, goes “under the ground” and surprises with unusual costumes. After the concert, my costumes are carefully dried and washed by my assistants. It is more difficult when right after the concert I need to get into the train, so we hang the costumes right in the compartment - shared Lazarev. 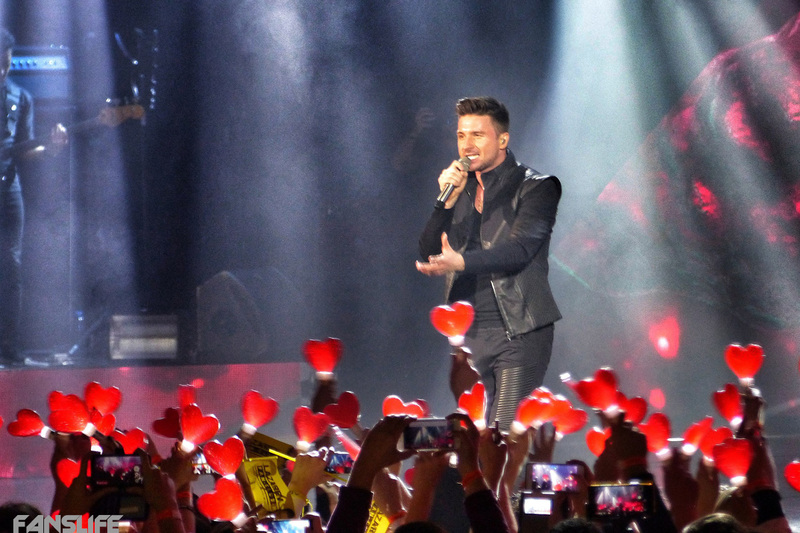 And if the song “Alarm” was tearing the emotions of spectators by its bright red lights and incredibly powerful dance performance, the song “The Prayer” went directly into the hearts of the fans - Lazarev noticed it himself when the audience sang along the chorus. You have rehearsed, haven’t you? - Said Sergey and dressed in a suit with short shorts and glasses. In the role of the “student” he sang the song “Eto vse ona” (“In my lonely life”) which became a big hit this summer, and “TV or radio” from the album “TV Show” (2007). And also (attention!) a fragment of the song “Call me, call” from the movie “Carnival”. Also Leonid Agutin’s song “Island” was included in the concert, which Lazarev first performed at the “New Wave” in 2013. The artist decided to celebrate the anniversary 100th show in “Leps Bar”, where his close friends and colleagues from the production centre of Grigory Leps were waiting for him, they helped Lazarev to organize this tour. At the after party Lazarev sang in karaoke favourite songs, and also the microphone was held sometimes by Nikolay Baskov. And in the end, accompanied by his hit “You Are The Only One” a big cake was carried with the inscription “Sergey Lazarev - hundredth concert of the tour”. Immediately after the 100th concert, Lazarev won’t wrap himself with a warm rug, won’t take a cup of tea, as he likes, and won’t even go to the quest in Moscow, as he usually does with his team after the performances in other cities of Russia. The singer will continue touring – he will go to Astana where his fans are waiting for him. The tour continues, all 2017 is already planned, there will performances in Germany and in several other European countries - said Sergey Lazarev after the concert. – I will plan a new show in about two years; “The Best” still hasn’t been seen by many people. Also in this year I have some shootings for the New Year's program, by the way, on December 31st I will also work, but it's good. - When do you relax? - Until the end of the year there are still another 10 shows (smiles), and I go on vacation in January. I want to go somewhere to sunbathe, to swim. I don’t have enough sun in Moscow. - And when you are at home - in the capital, how do you have rest here? - When I return from the tour, many things to do are being accumulated here. It is necessary, for example, to go to the shooting, which I promised long ago. That’s why the days in Moscow are still working days. Or just to come back home, turn on a foreign TV serial, take a rug, tea; yes, and these evenings are very few. I like to go to the cinema. The last movie I watched was “Inferno”. - Do you want to play in a movie? - No. Well precisely, probably I would like to, but I don’t have enough time. I get enough from the theatre. Sergey Lazarev: I am a power station, which should always work! There is, of course, a certain stereotype that I am an artist for girls and teenagers, and that I’m also like a young guy, although I have 33. But now I worry less about it, I have already found my “niche” (I hate that word, but here it’s on point). The Eurovision added colours to my “portfolio”. In these 11 years of my solo career, it has been changing and now has become more considerable. On the one hand, I want to grow up, on the other - no. I made the analytics of my subscribers of social networks, and in the end it turned out that most of my fans (63 percent) are in the group of 18-35 years old. And, it means that I work not only for teenagers (although I want to do something for them), also I see an adult audience at my concerts. And there is an audience over 35 years old. The society columnist Alyona Zhigalova visited the show “The Best” which was shown in Moscow by Sergey Lazarev. Six months ago, the whole country was worrying about Sergey Lazarev, who fought to the death struggle for the honor of Russia at the Eurovision Song Contest in Stockholm. It seems that the tears of the singer, frozen in his eyes at the time of announcement of the results when it became clear that the victory was gained by Ukrainian singer Jamala, have touched the most impenitent heart. Lazarev made a bitter lesson from Eurovision: never make plans for the future. However, as soon as the foot of Russian artist stepped on homeland after the “eurovision battle”, his future was predetermined: having showed to the whole Europe a spectacular performance with acrobatic tricks, intricate video mapping and with tricky stage scenery, Lazarev became the most desired guest performer of the season at the blink of an eye. 100 concerts in a year, moving all over the map of Russia with the speed of light, invitations to the broadcasting of the main TV programs - and from the stuck in a category of “strong ham-and-egger pop singers”, Sergey jumped with confidence in tops in the last year, essentially having moved the position of mastodons of the show business. 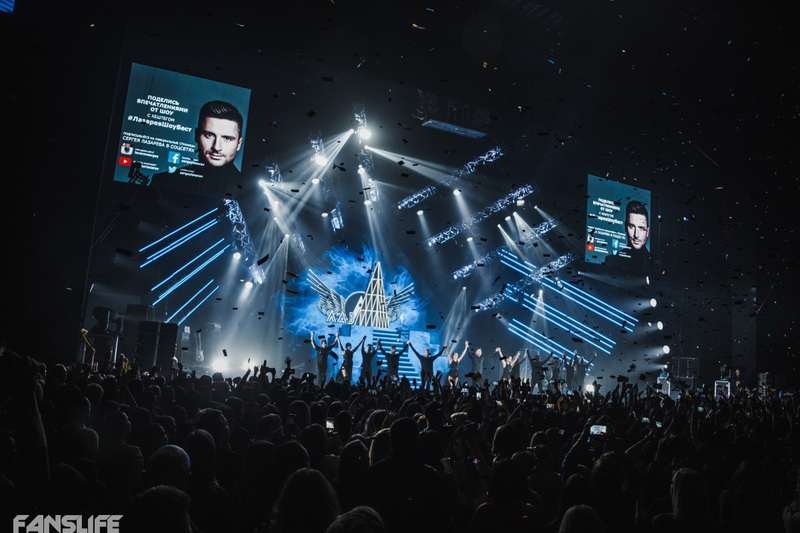 By the way, Lazarev had with what to move the “impregnable bastions of master”: in the last year in Moscow, Sergey showed the premiere concert “The Best” that set a high benchmark in the history of Russian pop show. The premiere and her current repetition was organized for Sergey in Moscow by the Producing Centre of Grigory Leps, one of the market leaders in the music business in Russia. After the premiere, all show business, led by his future Eurovision mentor Philip Kirkorov, applauded to Lazarev. 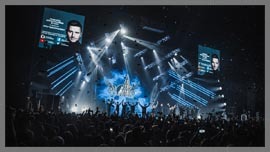 The show was really spectacular: megatons of light, perfect choreography, strong pop hits that Lazarev had accumulated in few dozens for more than a decade solo career. 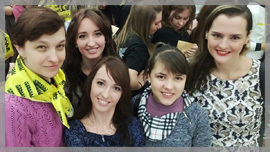 But if that time the sale of tickets for Sergey’s show was the reason to worry about, and it was justified (the height of the crisis hit hard on the general interest of the audience to the spectacles - Note Life), so yesterday in the Crocus City Hall, where Lazarev performed, there was an absolute and unconditional sold out. 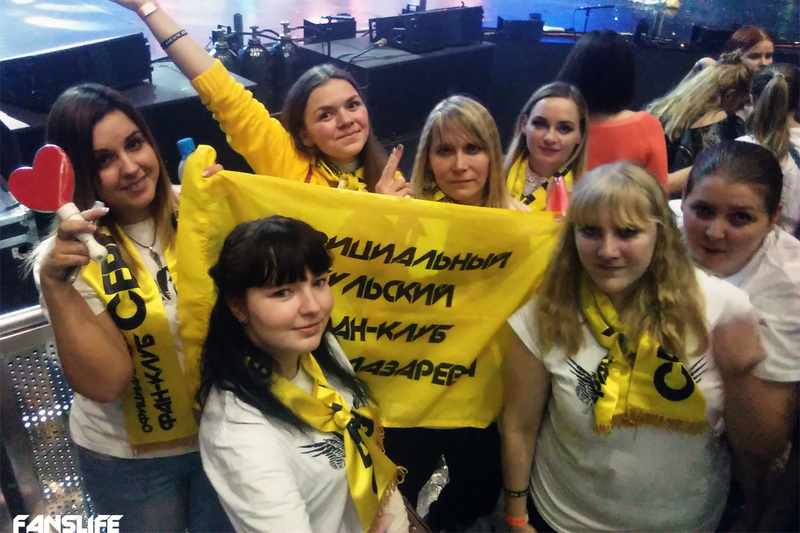 A special surprise was that in the dance floor there were not only the young fans, shoulder to shoulder, looking at the singer with delight: the audience of Lazarev has matured significantly. Most of people that bought the tickets, of course, came to satisfy the curiosity: what does represent by himself the artist which showed at the Eurovision such a spectacular show-performance? As a clever showman, Lazarev prepared the main hit for dessert, in the final. But the audience wasn´t get bored in two hours of this eager awaiting “euro action”. Glittering decoration-transformers, perfect physical form of the singer, sharpen choreography of the ballet and staging of every performance rehearsed to perfection - all this refers Lazarev to the standards of the best shows of Las Vegas, which people go to “get rest for the eyes” and get kicks. These shows, by the way, continue over the years and even decades, they don´t get bore anyone and always gather their audience. Probably, Sergey Lazarev itself sets a similar task, without flirting with the audience and not trying to confuse people with the “conceptual”, without forcing people with theater anguish and not trying to impress with vocal exercises. His current success is successfully tripped mathematical formula which he didn’t deduce immediately. Some things are already left behind, like the role of the “black-haired guy from Smash! !” – a sugary boys band from the beginning of 2000th, then a prolonged staying in the niche of “English-speaking artist”, it followed by a long search for himself and even staying in “opposition” to the pop gatherings. The truth was found by Lazarev, as usual, somewhere in between: accepting the laws of the Russian show business, but not abandoning his ambitions, otherwise the Eurovision didn’t happen in his life. Using skillfully everything that the access to the European audience gave him, Lazarev is firmly on its feet and he has identified with the style: after the show in the “Crocus” he can be considered not the performer of songs, musician or singer. Lazarev can be called a “Show Man”. And yesterday's seven thousand persons of busy concert hall made it clear seriously - they want his show to go on. Sergey Lazarev: "I miss the evenings under the rug and with serials"
It has been one year since 33-year-old Sergey Lazarev travels around the country with a big show program “The best”. He has concerts every day, flights, travels; probably the artist’s friends have already begun to forget what he looks like. The 100th concert of the tour took place in the capital: on November 24th, with the support of "Gregory Leps Producer Center", Lazarev performed at the "Crocus City Hall". 7500 people heard all his hits - "Perfect World," "Right in the Heart" "Seven Wonders"... But the special delight from the public, of course, was caused by the performance created for "Eurovision" with the song “You Are The Only One”, with which the singer finished the concert. Sergey’s mother Valentina Viktorovna, his niece Alina, and also the colleagues - Ani Lorak, Nikolay Baskov, Mitya Fomin, Vlad Topalov and many others came to support Sergey. Someone, probably, may think those 100 shows in one year it’s not so much, but me and my team, we get tired” - shared Sergey with "StarHit". – “Sometimes, terribly, we don’t get enough sleep. And, of course, we miss our friends and families. We will finish the tour on December 15th, then New Year shooting and concerts are mapped out. On December 31st I also work, I’m going to perform. But in January I have the long-awaited vacation. I go to the ocean to swim, sunbathe. The sun is very important for me. In Moscow, where during past year I pay flying visits, I don’t have time for relax. I love cinema though I go rarely there. And its home is not enough to relax: just to lie down, put on a foreign TV show, wrap myself in a rug, drink some tea... With my team I go on quests between the concerts, I love this thing. 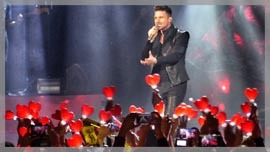 The combination of singing and dancing Lazarev is considered being one of the most difficult moments in the show. “It has become a habit due to constant rehearsals and concerts, -continues Sergey. - There is also the moment with changing of clothes. I have 1.5 minutes for it, not more. During 2.5 hours I don’t have any free second of time. Therefore, at the end of the concert, I just breathe out!”. Expectations of any important event in creative life of Sergey Lazarev are always thrilling time! Especially, when we talk about his solo-concerts in Moscow, when his fans from all corners of Russia are gathering together, and this year the fans are from all over the world. 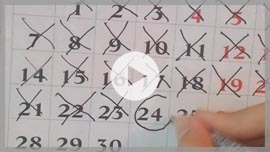 It is not the first year when Fan Club organizes flash mob with counting down of the days before the show to support the event, to dispose before the tour and, of course, to brighten up the months of expectations. Еhis year our flash mob had started on the 16-th of August in Instagram of our Fan Club within 100 days before the 100-th The Best show presented on the 24-th of November in Crocus City Hall. 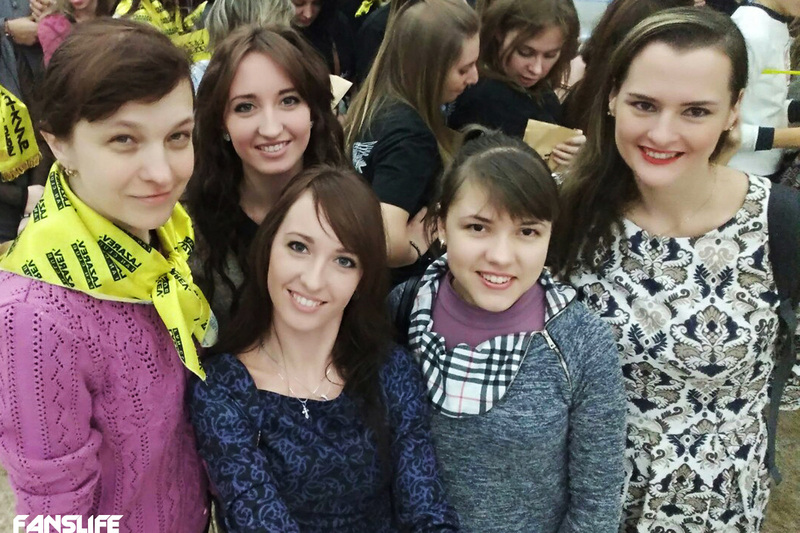 Preparation to the flash mob this year was within the annual summer project of our Fan-Club named The Summer of New Ideas in 2016. 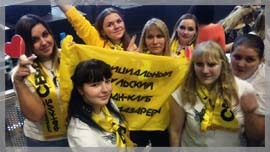 Fan Club of Sergey Lazarev daily broadens its geography not only in Russia, but outside of Russia also. This year our family expanded with an incredible amount of new participants; a lot of new branches have been opened. “Lazaryata” are conquering the world! This conquer has a big size, thanks to a mightiness The Best going from city to city and country to country. This show is watched with delight everywhere wherever it comes. Launching of our next summer project, we couldn`t let us to avoid focusing on the incredible success of this show. To take part in this project, the representatives of Fan-Club have made videos on Sergey Lazarevs` songs included to The Best show. As it was The Summer of New Ideas, the task wasn`t easy. The plot of the video must be absolutely new and creative. It shouldn`t repeat any of Sergey`s video and concert performances. You could see what we have done in our Instagram for 3 months before the show! But there were video teasers only. You are intrigued we guess. And now it is time to open all the secrets of the project and to show full versions of videos to you. You can watch the videos of The Summer of New Ideas project throughout our magazine issues! Do not lose "your heartbeat"
It is the 12th of November and the memory mentally moves to the same time of the last year. I remember last year's excitement, pleasant chores, and the first trip to Moscow to the concert of my favorite singer. I remember when I first saw our huge fan club singing Just Because You Walk Away and yellow symbols with a familiar name. Time before the concert passed quickly, and here we are in the fans area - faded anticipating to see the show. That time was the first when we saw The Best show. It was unforgettable - space, 3D scenery, light creating an atmosphere of ethereal and he - our dear singer appearing in a white space suit. I remember that I stood with my mouth open during Find Me song: smooth movements like in slow motion moved me from noisy fans area to the weightlessness. And then we met a new song - "Perfect World", it is poignant, filled with the power of new accomplishments and faith in the best. We can never forget Sergey's words about how difficult is to go ahead and listen to yourself, because we ourselves write the script of our lives. So, we came back to our cities and countries, being happy and carefully preserving those memories of the brilliant, well-deserved triumph of our favorite artist. What a warm and homely atmosphere was there in the concert hall that evening, the unity of thoughts, feelings and a desire to share them with the artist. I have not filmed any videos, and I do not regret that I didn't do this by any means, because it is impossible to look through the soulless lens of the camera at this action, when a person puts his soul in front of you and opens his heart! And I answered the same! It seemed impossible that such can repeat, but the life has given us the chance to enjoy The Best show in Crocus City Hall again! And a year later, me and my new friends came to the capital again to spend the evening of November 24 in the circle of like-minded people. The scale of the show is really amazing: costumes and 3D installation create the impression of total immersion in the action. All songs are sung by the entire concert hall, drowning out the artist singing into the microphone. It is such a happiness to see Sergey's smile at such moments! The concert call was loud during every second - isn't this a proof of the audience love?! 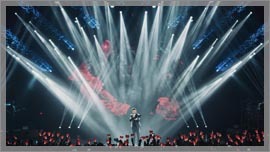 The most memorable moment of the 100th show was when 7,000 "burning" hearts of viewers dawned the concert hall during "Heartbeat" song. Our surprised and happy artist was smiling even brighter. Yes, once Sergey has lit our hearts, filled them with good faith, accustomed to beautiful and high-quality music. Each song he has is a whole life, which, in contrast to human life, is not bound to time, because these songs are always relevant. Meanwhile, the concert went to its final insensibly. We have already forgotten about the "cherry on the cake" - a performance from Eurovision 2016 song contest and we were faded in front of the screen one more time. The video showed the last preparations before the performance in Stockholm, bustle, excitement ... goose bumps were all over my body, there was like a lump in my throat. All the stress moved onto full, as if it was yesterday. But the impressions of the live performance are totally different! Sergey did not give us any doubts in his mastery and boldly jumped onto the wall where it seemed to be impossible to jump. At some point, it seemed that he had really had wings on his back! The concert hall stood up, glee and joy knew no bounds! HE DID IT! Yes!!! There was a succession of "adventure" moments in my head: virtuosic "swallow" on the ice, soaring on the rings under the dome of circus, feeding a black panther from his hands, appearing in the role of mentor and care about his mentees, and all of us are for him. And our moms and grannies are going through this too, as they are "his" mom. Every time I look at how he plays with gravity with a sinking heart. And he easily shows that he can do anything he enters upon! The Summer of New Ideas project. 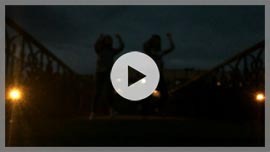 Video "Naidi menya" ("Find Me") "Inspired and encouraged, we cherish every bit of heat of that memorable evening..." The Summer of New Ideas project. 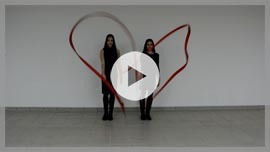 Video "Bienie serdtsa" ("Heartbeat") The Summer of New Ideas project. 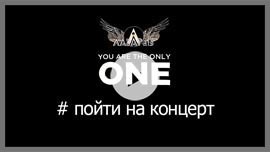 Video "You Are The Only One"
The Moscow’s solo concert is always the most awaited event for the fan club, not only for Moscow, but for most of its branches. Precisely, here is where you get to see with your own eyes the whole scale, usefulness and beauty of the show, as well as make new friends and meet with those whom you haven’t seen for years. 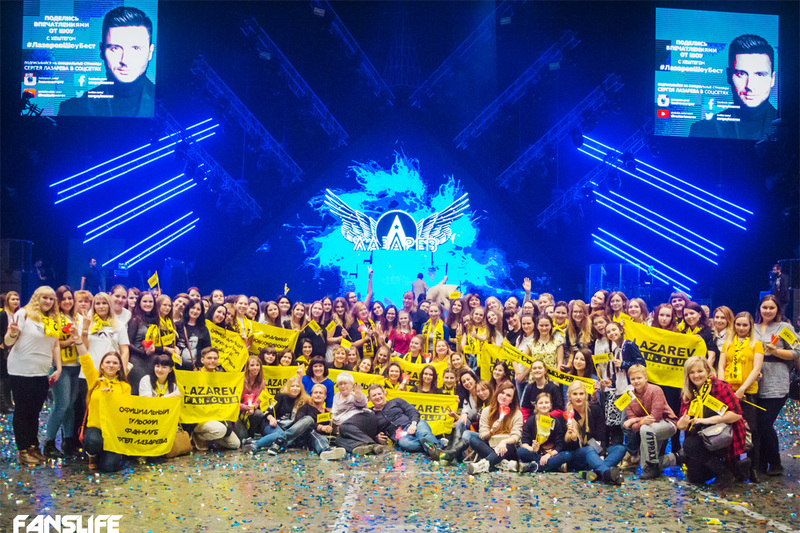 The 100th Show “THE BEST” gathered dozens of Russian Official Fan Clubs at Crocus, and coming for the first time, there was China, Spain and Hungary – thanks to Eurovision, which significantly expanded our artist boundaries of the fan club. Moreover, this year of Sergey’s unprecedented support, bringing us together for one cause: in spite everything, to show and demonstrate that we have an incredible artist! Such global events usually begin at least 6 hours before they start. Anxious waiting, lines, joyful meetings and hugs, laughter, expectation, and all these hours passed by fast. Of course, there are some working moments such as the indispensable preparation for the big flash mob. Checking the performance of more than 500 glowing hearts – no sweet! To distribute them in envelopes – no problem! The “veterans” were telling actively to the new members the strategy – where to go, where to stand, when and how to hand the accessories for the flash mob, what can be done and what cannot be done. Of course, we couldn’t go without a little mess, but we live through the Eurovision, and after it, everything else is just small defects. Storming the walls of the Crocus, we got out desired bracelets for the dance floor, and as a year ago, we lined up in a separate VIP queue. I would like to express my gratitude to all the organizers and the Crocus City Hall itself, for giving the fan club the opportunity for the second year in a row, to enter the concert hall before the rest of the audience. When we handed out the envelopes with hearts, flags and final instructions to the people, we all finally entered to the hall with our big crowd. Agility, speed and complete lack of self-preservation instinct – that’s all you needed to get in the first row and take the place for yourself and at least for two or three friends of yours. Few minutes later, the rest of the ticket holders, accompanied by a loud footfall, burst into the hall and dance floor. Gradually, the 7000 spots were filled with people. The celebrity guests started to arrive to the vip-parter. One of these was Vlad Topalov, who in few minutes lined up a long queue for those who were wishing to take a picture with him. And we were expecting the appearance of our idol chanting loudly his surname in the whole hall. And at last, the moment we await for – the lights went out, and the 100th Show “The BEST” started! Somebody had seen this show for the first time, some others enjoyed enough during this year. And even for them, every time was like the first time! Correctly saying "There are no identical concerts" - each one is filled with its energy, mood, emotions precisely in this particular moment of time (this applies to the artist and the viewer). The best reward is to see that Sergey is happy, that he is in a good mood and that he experiences a true pleasure from what is happening on stage. And in our power is to make sure that he gets it all. From performance to performance, from block to block, Sergey endowed us all with his grateful smile, and his eyes, which were perfectly visible on-screen scenery, just shouted "THANK YOU FOR EVERYTHING!". I don’t think it’s necessary to talk in detail about all the songs and show blocks. But some performances really deserve a mention. Firstly, his song “Heartbeat”, for which we prepared our flash mob. It was a success for more than 100% - those hundreds of hearts looked really amazing, and Sergey certainly liked it! Secondly, “The ideal world”. If a year ago only those who had seen the show on tour knew this song, so this year it literally blew the hall up! And it blew with such power that the energy, seething in the hall, literally knocked the people down. Video - "V samoe serdce" ("Right in the heart") "A flurry of emotion and burst of applause, tears of happiness in the eyes of Sergey and his team, the fans catching the brilliant "rain" from the ceiling - it's an incredible feeling..." "For the first time the official fan club took a big common photo..." The Summer of New Ideas project. And thirdly, of course, the legendary performance "You are the only one"! Everyone who worried about Sergey at Eurovision, experienced thousands of goose bumps on his body when before the performance the video teaser appeared on the screen, the video that was shot in the behind the scenes of the contest. Emotions and memories just swept us over. The screens divided, revealing this scenery. Finally, we were able to contemplate and to examine what six months ago Sergey showed on stage in Stockholm. This incredible song, sounding so powerfully with life sound, literally was absorbed by everyone, and at the final chorus the whole hall stood up to applause to Sergey – the indisputable winner in the opinion of viewers throughout Europe. A flurry of emotion and burst of applause, tears of happiness in the eyes of Sergey and his team, the fans catching the brilliant "rain" from the ceiling - it's an incredible feeling that is difficult to describe in words not only on paper, but also in live. Happy artists left the stage, but for a long time the show didn’t let us go. For the first time the official fan club took a big common photo. We are all from different cities and countries, different ages, different professions, with different characters, but we all have it... no, in other words... not “it” but “HIM” – a person who has united us, the one to whom we are very grateful to have found each other (after all, many of us have found real friends in the fan club). Sergey, we are madly grateful for everything! Thanks to your incredible persistence, you are able to overcome any obstacles, trials and walls. This is an example for us. For this we love you and respect you. The full concert hall is a gratitude for your incredible hard work and the work of all your team! And we really hope that in a few years we will gather together again in our common celebration of life - on your new show! This day, every cubic centimeter was clogged with anticipation of celebration and fairy show in 7,000 Crocus Hall. The heart was beating every second before the moment when the magic was gonna start with trembling. And, like in a fairy tale, the light had gone out and we've moved on the expanse of the Universe. The Hall had totally transformed in the anticipation of the appearance of our Hero on the stage, the heart was dancing gladly to the beat of "space intro". The spectacular arrival of Sergey at the beginning of the concert, like a year ago, caused a storm of "WOW! It is amazing!". Each spectator tried to capture every moment in memory of the concert with bated breath. A year has passed, but the show has not lost its relevance, but rather, has gained even greater power. There is a new fatal sounding of favorite songs, and the voice of our beloved Artist captivates even stronger. The show is really "The Best"! Each block is unique and opens our Artist's talent in all its glory. It is a musical and theatrical show, I would even say it is the spectacle. The Artist and his entire team masterfully take us back in time through space worlds and civilizations, and I wish that the magic of the show would never finish. Each block has favorite moments we are waiting for and enjoy their appearance as children, we are applauding even stronger and singing and dancing, even while sitting. I can watch my favorite driving and mystical African block many times. What a particularly luxurious choreography is there in this block! Brilliant choreography throughout the whole show, but the African block has that incredible magnetism and hypnosis. How does Sergey do this? I will never be tired to admire his plastics and sense of rhythm. He has outdone himself in dancing! My favorite Vesna (The Spring) is pathetic to tears and charges energetically at the same time and we want even more rock. Sergey and rock music is really natural! I really like the fateful sound of my favorite Just Because You Walk Away. It is a hit for all the times! And a new sound of Heartbeat is simply amazing. And as it was a fantastically beautiful when our flash mob had started from the very first chords and red hearts started to light up in the dance floor one after another. The viewers in the stalls and balcony supported its atmosphere and added flashlights on their phones. It was so pathetic! It was joyful to tears and the pride was bursting me when the entire Hall Choir was singing all the songs with him. The "Smash!!" block was especially nostalgic and touching. Our favorite and genius Molitva (The Prayer)... and again to the depths of the entire soul. Charming Zhorik, a favorite guy of the public and, particularly, children has loaded all of us with a triple dose of fun. I am still amazed, how Sergey feels everything so delicately. Even a couplet from Pozvoni mne, Pozvoni (Call me, call) has fit 7 Figures (7 Wonders) so jolly like it was always there. Video "Nerealnaya Lyubov" ("Unreal love") The Summer of New Ideas project. Video "Stereo" The Summer of New Ideas project. Video "TV or Radio" The Summer of New Ideas project. Thanks for the Ostrov (The Island) remained in the track list of the show! This tsunami of music, voice and power of Sergey's energy! V Samoye Serdce (Into the Heart), a popular hit, was being sung by the whole Crocus in chorus and the intensity of emotions continued to grow. And then... I, like every spectator in this huge hall, have come to a standstill. The light had gone out and the screen appeared, our eyes rushed at it instantly. A profile about the triumphal visit of our Artist to Eurovision-2016 in Stockholm began. The rush was growing with every frame of the movie, as in the blockbuster. The lights have gone out, split seconds of total darkness and then two beam spotlights highlighted the shape of Sergey. The bells and the first chords of You Are The Only One have started. This song had impressed the whole Europe, the whole world, and the performance of our Artist has begun with the same original number that was the winner of the audience vote of the contest - true winner of Eurovision 2016. More than two hours flew by like a flash! Applause and shouts of Bravo were long, we wanted to extend the moment of our meeting with Sergey. The Best show is a unique show; this is a huge period of life and creative growth of Sergey, his beautiful soul and creative look. And, of course, it is the titanic work of the Artist and his team, from the musicians and dancers to staff working behind the scenes who make all details of the show to become an amazing picture on the stage. Thanks and low bow to all of you! Thank you for an amazing opportunity to see The Best show in Moscow again! Thank you, Sergey, for your talent, for your pure and kind soul! You are an amazing person! Thank you that you are just present in our lives! Perfecting yourself constantly, you are inspiring us to become better, kinder, to open our talents and learn something new invisibly! Thank you for the friends we met thanks to you! It is already impossible to imagine life without traveling to the concerts of the favorite Artist. We are always waiting for them! We look forward to find ourselves in this unforgettable holiday atmosphere again side by side with the people living with you on the same wavelength, although in different parts of the world already! But let’s come back some time ago... All these five months I spent in anxiously waiting, thinking about this great show and trying to imagine with what and how the actor was going to surprise us. And then came the Day X, the day that was very generous with new pleasant acquaintances, long-awaited meetings and exciting emotions. Before the concert, we had a big meeting in the hall of Crocus, where I was very happy to meet with almost all Official Fan Club of Sergey, and I even met with foreign representatives of the fan club. Besides us (Spain), there was a charming guy, Richard from Hungarian OFC, whom I had known long ago thanks to social networks, and also a modest and nice girl from China, Chris came to the concert, she actually just swept our feet off with her charm. And now, after a noisy and joyful meeting with everyone, finally the moment has come! We were let into the concert hall and the air was just clearly electrified with excitement of the audience. I saw how the hall gradually filled up with people, everyone was looking forward to the appearance of Sergey on stage... The lights went out, the first chords began to sound, and I plunged into the magic, where the main wizard was Sergey itself. His appearance in the glowing pyramid that went down "from heaven" was really like the appearance of God! Sergey was dazzling, I could saw this aura of happiness that he radiated in every gesture and glance! He works on stage flawlessly, giving to his audience all himself down to the ground, and the audience returns this energy hundredfold to their favorite artist. We all know that Sergey is a workaholic and perfectionist, and it’s showed in his show: choreography, vocal, lights, music, scenery, costumes, dialogue with the audience ... Everything was perfect! And of course I do not want to underestimate the work of Sergey’s team because all these talented musicians, wonderful dancers, people responsible for lighting, stage workers, management team, and absolutely every person who was involved in this show did everything possible to maximize the pleasure for us that night! Thanks guys! One of the main decorations of the evening was a magical flash mob that was organized by Official Fan Club of the Artist. When the chords of the song "Heartbeat" sounded, all over the concert hall were lit red lanterns in heart shape, and those who hadn’t these lanterns, turned on the flashlight on their phones... The hall was filled with magic, everybody became a single organism and it seemed to me that even our throbbing of the pulse at that moment was irregular because of all this breathtaking beauty! I still ask myself: what kind of self-control is necessary to have in order not to explode such of love! This love to Sergey was clearly in every cubic centimeter of air! My husband, who is Spaniard, was impressed by the scale of the action! "I arrived to Moscow from Spain with my husband, who knew only about Sergey Lazarev that he has represented Russia at the Eurovision Song Contest this year..." "Before the concert, we had a big meeting in the hall of Crocus, where I was very happy to meet with almost all Official Fan Club of Sergey, and I even met with foreign representatives of the fan club..." "and also a modest and nice girl from China, Chris came to the concert, she actually just swept our feet off with her charm..." "The hall was filled with magic, everybody became a single organism and it seemed to me that even our throbbing of the pulse at that moment was irregular because of all this breathtaking beauty!" With particular trepidation, I was waiting for the block, where Sergey sings songs from the period of the group "Smash!!" because 13 years ago this era titled "Sergey Lazarev" began for me: Sergey is an important part of my life, and exactly half of it! The song "Prayer" is very significant for me... I remember when Sergey sang that song 13 years ago at the "Smash!!" concert, where I was able to go, but the way he performs it now doesn’t go to any comparison: now in every word is felt all the experience of past years, Sergey lives this song and makes all of us feel all the nuances of this wonderful and eternal, in my opinion, ballad. I think that I was not the only one in the evening, who wiped away a tear because of this piercingly sincere performance. And of course the "icing on the cake" was a grand performance of Sergey’s song that became an absolute hit and a favorite of millions of Eurovision viewers all over Europe ... Yes, the long-awaited "You are the only one" was performed that day in Crocus exactly as it was performed six months ago in Stockholm. Even when the introductory teaser appeared, the audience exploded! Even my neighbors in the stall that were sitting quietly during the concert, began to shout "You are the best! 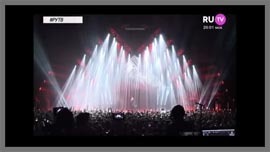 ", And the number of mobile phones and cameras increased dramatically: everyone wanted to capture this famous performance, and especially try to unravel the secret of the screen on which Sergey easily climbed to the top in order to finish fabulously this song, and with it the entire concert. What was happening in the concert hall! It was unspeakable! The applause and shouts of grateful spectators almost deafened me, and I also was shouting, as I thought at that moment I was the loudest! My husband on emotions even launched a large Spanish flag which we had brought specially for the concert. I don’t know if anyone noticed that flag in this general euphoria but I want to believe that Sergey saw us, his fans from Spain. The two-hour concert seemed to me like one happy moment ... I didn’t even realize that it's time to say goodbye to my favorite artist. If I had the opportunity to say a few words to Sergey, I would thank him from the bottom of my heart for this beauty that we've seen in the Crocus City Hall... Dear Sergey, thank you for allowing us to see the happiness in your eyes, thank you for your sincerity and dedication, thank you for new friends and thank you for uniting people from different countries, cities, people of different ages, nationalities, races and religions! Thank you! And see you soon! It’s already enough days after the concert but I still feel like everything just happened yesterday. It was unforgettable, so unbelievable, and almost too much for me, I think I’ll need a long time to calm down and realize what really happened. In a word, it was THE BEST concert I’ve ever seen. From the very start, the lights and special effects have been perfect. I know Sergey is a conscientious artist who has great passion for his career and always gives everything on stage. And that’s why I took a 10-hour flight just to see his show and bought the most expensive ticket in the first row. He is totally worth it. My heart skipped a beat when I finally saw him, singing Breaking Away in white. It was like when God appears. I’d been dreaming to see him perform live, and finally he was there, singing right in front of me, on such a wonderful big stage! I don’t know what can be better experience! I sang along almost from beginning to the end, waving the little flag my new friend gave me. I couldn’t speak Russian yet, but I learnt to sing his Russian songs because they are so beautiful, especially В самое сердце, which has been my favorite. Good music goes beyond languages. I love to see him dance. Not many singers can dance so well, he must have put many efforts to be so perfect. And when people in the dance floor were dancing with him, it was such a great atmosphere! I almost wanted to stand up and dance, too! When he announced the show he promised it would be more than just a concert, and it was the truth! He didn’t let us down! I can’t even find a right word to describe the show. A fairytale? A myth? A magic? Or maybe all of them! He designed everything with his heart and creativity, and gave us a really big surprise, big enough to be an aftertaste that lingers and cheers us up in a long time to come. I couldn’t understand what he said, but I could feel how much he loved the stage, how much he respected the audience, and how much passion he put into the show. Because his eyes can talk, in a language everybody understands. He’s an angel, a God, a most precious treasure in this world. 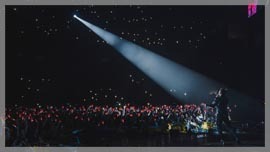 Many other Chinese fans told me to pay great attention to the screen when he sang You Are The Only One and try to find out how he climbed to the top. Well, I have to tell them I’m sorry, I kept my eyes on him but couldn’t find out anything. It was perfect like a magic. He is a flyer. He can fly. Good times are always too fast. I didn’t even realize it was the last song. So when I came out of the hall I couldn’t help crying, because I had to take the flight back in the morning. My trip to Moscow was like a dream, where I had a great time and met amazing people. Everyone there, the fans and the passersby, were very kind to me. They helped me a lot. I felt loath to part with all of them. And I hated to be miles away from Sergey again. How I want to meet him in person and tell him what he means to me! But anyway it was a wonderful night for me, when I spent two hours lost in the beautiful melodies and his perfect voice. I will surely come back again, and I hope I will get a chance to tell him how important he is to me next time. I will miss him very much, and also miss all the people I met. Before the concert, I was with the fan clubs in the subway station nearby. They were all very nice people and were really kind to me. Most of the time I couldn’t understand what they were talking about, but I could feel the happiness in their laughter. I really enjoyed being with them. I’ve started to learn Russian now, hoping to be able to read his interviews, watch his TV shows and have more fun with the lovely people there. And I’m trying to open the Chinese fan club. There’re many fans of him here in China. You don’t usually see us on social media networks, because most of us are kept outside by Great Firewall (which means no Twitter, Facebook, Instagram, Youtube or even Google in China without using VPNs), but we’re always here loving him. I grew up in a northern city near to Russia, where there were heavy snows and beautiful winters. But now I’m living in a southern city where it doesn’t snow. So somehow I felt closer to home in Russia. I love this country, from the bottom of my heart! And I promise I will be back! Video "Shattered Dreams" The Summer of New Ideas project. Video "Eye of the storm" The Summer of New Ideas project. Video "Moscow to California" The Summer of New Ideas project. Moscow is the city what stole a part from my heart. It was pleasure to be on there again after a month and a half. I feel in love with the city, just by walking on the streets, on the Red Square, in the Kremlin. Simply I can't get enough with this beauty. I have said many times about many cities that I will get back, but Moscow was the first time I went back. The city was calling me, and I couldn’t say no, and I can’t wait to go back for a third round, what’ll follow many trips there. It is hard to deal with stuff in English for tourist there, but for me, I could quickly learn how to travel around the city, how to find places what I like to visit, in just few days, my last time in Moscow it was like if I was coming back home. Right before the concert, I had time to meet with many wonderful people. This was a fantastic experience, to finally get out of the virtual world and talk, meet friends from different countries in person and meet new friends. I can’t write down how happy I am to belong to this big, lovely and helpful family and that I can do something for it. Despite the language differences I got a lot of help from all my friends and together we made my birthday night unforgettable. 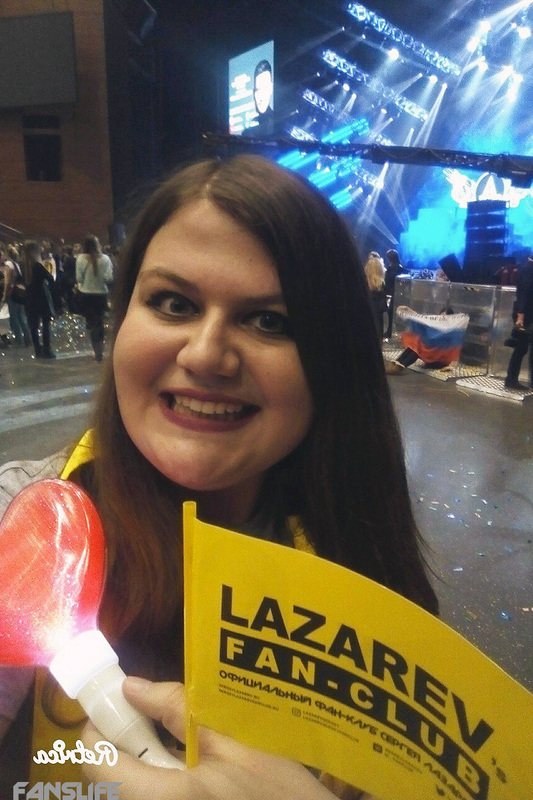 1.5 months previous to the concert, I attended the concert in Podolsk. When it finished, I got the chance to meet with Sergey Lazarev. It was so special and he said to me, to come back for his grand show, and I promised to him, that I will come back. I didn’t regret any moments that I come back to Russia. He was totally right, the concert was way different, bigger, and filled with emotions and more energy than before. Podolsk was perfect, but the 100th show, was beyond it. I’m incredibly happy that I could be part of it from Hungary. Sergey gave his full potential as he always does. The technical part gave a bigger plus to the whole concert. “You Are the Only One” got the crown of the night, when he performed the number just as he did on the Eurovision, and it totally brought us together. The whole concert hall sang along and it was magical. If you’d ask me, I can’t really choose a favorite part of the show, because it’s impossible to choose when it’s coming from the Best Show, it goes with its name. From the beginning to the end, I sang the songs along him and the audience, it didn’t matter if it was English or Russian, I enjoyed the show from the first row. And I thank this to the best fan club ever. This time, I couldn’t meet with him; however, I got everything I could ask for. He charged me with emotions and energy, and hopefully I could be part of this again in St. Petersburg. I really miss the fan club members, him and the wonderful country. As I always say, “You shouldn’t just have dreams, you must live them”, always fight for it and never stop! So I really hope I’ll see everyone again pretty soon! Video "Flyer" The Summer of New Ideas project. 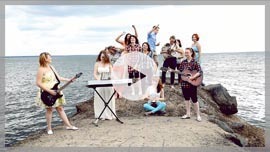 Video "Slyozi v moyom serdtse" ("Teardrops in my heart") The Summer of New Ideas project. Video "Vspominai" ("Remember") "it’s impossible to choose when it’s coming from the Best Show, it goes with its name..."
All the Tickets are Sold Out... Is this not happiness for the Artist? All the Tickets are Sold Out... Is this not happiness for the Artist? Agree, it is a brave step to gather audience for the event already took place in the Capital. But, going forward, reading the rave reviews, gratitude, impressions, I remember one thing: "It is okay, when half of Samara posts out photos/videos from one and the same concert, but apparently Lazarev is really cool if his show has been visited by half of Moscow and my stream is dappling with videos from it". Lazarev is cool! Only he can dance incendiary, sing alive, inspiring the audience with crazy energy for more than two hours. Only he knows how to make an eye contact from the stage, giving the impression that you're the only one, and all this show is for you. A year ago, standing in the crowd at the presentation of THE BEST show we even could not imagine that we are facing the winner of the audience vote of Eurovision 2016. This year all the people who were in the concert hall witnessed the "cherry" of the evening. You Are the Only One performance with the stage embodiment to the smallest detail seen alive only in Stockholm, was introduced in the Crocus City Hall. The 100-th show! And a day later, the 101st, the tour continues, new cities, geography of THE BEST expands. Someone can ask: "What's the sense to watch one and the same thing?". The sense is the feelings that overwhelm us during the whole evening, the next day and do not let us go forever! The perfect Artist is different for everyone! 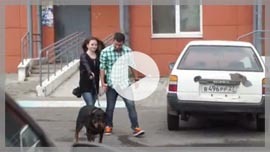 Video "Alarm" Bryansk Fan club in "Crocus City Hall" The Summer of New Ideas project. 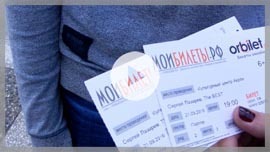 Video "Cure the thunder" Velikiy Novgorod Fan Club in "Crocus City Hall"
Someone saw the show for the first time, someone has already learned almost every movement, and for someone, it was the first concert of his/her favorite artist in his/her life. But every heart in the huge Crocus was beating in the same rhythm, emotions of more than 7000 people cited both the Artist and the whole hall in euphoria! This is an amazing unity in one emotional impulse! Flash Mob with glowing hearts during Heartbeat song was very beautiful, soulful and unique. As soon as we look at the ecstatic face of the Artist, all the doubts vanished instantly - our flash mob was a success! We would like to say thanks to everyone who helped to organize that unforgettable evening. Thanks to every participant of our fan club because, despite all the miles and language barriers between us, this day has become a single entity! 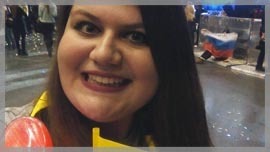 Of course, a huge thanks to Kamilla, our Director, for the enormous responsibility and organization of flash mobs! Thanks to Artist's team for their 100% professionalism! Thanks to Sergey Lazarev for titanic work and full dedication! 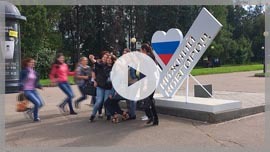 Video "Eye of the storm" Kaluga Fan Club in "Crocus City Hall" The Summer of New Ideas project. Video "7 tsifr" ("7 figures") The Summer of New Ideas project. The Lights Goes Out and the Heart Skips a Beat. And 2.5 hours of the divine show arestill ahead. And I am not afraid of such words. A gorgeous, lively, incendiary, faery, emotional, good quality - you can describe this for a long time, but it is better once to see with your own eyes! It is undoubtedly worth it. Each performance has been designed to every detail, whether it's costumes, dances, decorations or light. But I had to "tear" myself sometimes: I wanted to look at the stage and make photos at the same time. But I coped with the tasks. I cannot let myself go without photos from the concert. They stop the moments that are not sometimes noticed. And it is enough to scroll a few pics to plunge that day again. And that "cherry on the cake" in the end. A performance, worth of dropping everything and rush to the concert to see everything with my own eyes, and not in Sweden, but in Moscow. The hall is waiting, the screen shows the footage before the performance of Sergey in Eurovision, the heart is beating faster and you're at the moment back in May, I recall that exciting Eurovision final. It seems to me that everyone on the dance floor took out the phone/camera to capture this number so that to review again and again and to be proud of our favorite Artist! It is impossible to miss the concert of Sergey Lazarev, moreover when it is the 100-th anniversary, especially in Moscow, especially in the Crocus! Each time the performances inspire anew, you notice new details and you are happy from everything - plastics, rhythm, sound and, of course, from favorite songs and Sergey! This time, unusual performances have made us happy. Very cool, that there were 8 dancers, the scale was felt. The most unbelievable impressions remained, of course, from the Eurovision Song Contest performance. It is a magic and miracle of technology! But it would be impossible without hard work and training. I am immensely grateful to him for this perseverance, hard work and skill - he just creates happiness in the stage and gives it to us! Perform a song perfectly in an inverted position, while still perform tricks and remember everything is a special talent and art! He is a talent and the Artist with a capital letter! That was so amazing! Sergey is a true professional! The hall was totally packed! Sold out! All sang in unison! Dancing, graphics and voice - above all praise! Special effects, fire, smoke, fireworks! It is a cool show in cities, but it is the bomb is Crocus! Thank you, our Artist! Thank you just for what you are, for such unrealistic returns, for emotions and love to the spectator! Before this trip, I did not feel force of the Artist fan club, I knew that guys don't just want to go to the concerts and meetings, knew that they work and try to make the world a slightly kinder. But!!! There were a lot of "our" guys in Moscow, from different points of the planet. I didn't know them but I felt our joint power. I felt the force of a family! It is incredible how united we are, as we support our Artist and his team, as we support each and every one of us. I am very proud and pleased to be a part of this family! 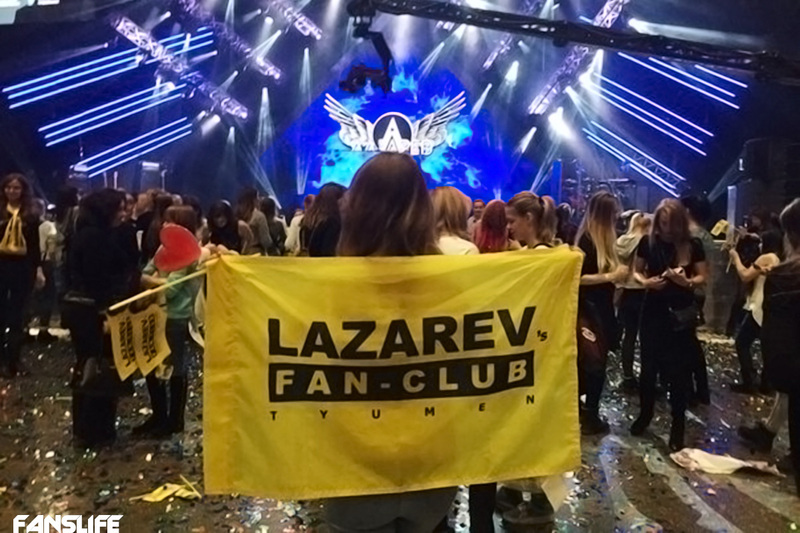 The lights goes down, excitement is mounting and spills outward by chanting, "LAZAREV! LAZAREV!!". Where does our consciousness immerse this moment? What abyss do thoughts fly to? Where is the world active before all of this? There's nothing there, only you and them, and no one else. Exactly the taste that we feel when we see his show, this unique smell of euphoria and delight, these spectra of feelings that we live - that really works! That's what makes us happy! That's what makes us go to his shows again and again! I love and respect Sergey for the absence of half-measures in his works: he either does everything or doesn't do at all. And this principle lives in each of his offspring, whether it is a theater performance, concert, song, video and any other direction of its activity. I want to say a huge thank you to all the girls and boys who were with us that day! Thanks to our Kamilla for restraint and patience! Thanks to the Artist's team that you had done everything for 1000% for us and made it incredible! And of course, thanks to Sergey Lazarev, a unique, wonderful and most Beloved Artist, for what he is, the unification of strangers into loving families, for friends, for believing in fairy tale and for the opportunity to be a little happier! 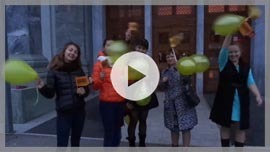 Video "Moscow to California" Yekaterinburg Fan Club in "Crocus City Hall" The Summer of New Ideas project. Video "Dazhe esli ty uidyosh" ("Just because you walk away") The Summer of New Ideas project. All the hall is standing still before Sergey's appearing on the stage, and then the audience explodes with thunderous applause. And this is just the beginning of the show! Insanely beautiful space block! The feeling of the space does not leave us even for a second. Sergey's voice is steeping and piercing us. It seems that he sees everyone in this huge hall and gives his smile and warmth to everyone. It is impossible to describe this in words, you need to see and feel this. And all of us in the hall are an integral whole. The Artist is giving himself to the audience fully and working for 1000%, and the audience respects the Artist and feels when the silence is required. The reaction of the audience for each gesture of the Artist, each slight turn of his head - this is our gratitude to him and response reaction to his warmth, kindness and love to his audience. Each block of The Best show is unique and beautiful. I love Smash!! block a lot and every time it speaks to the heart and the skin is crawling. African block with its wild dances is out of this world! Belches of fire on the edges of the stage - these are the emotions of everyone who was there in that hall. It is impossible to be apathetic having seen this unbelievable, amazing and precise show and listening to this heart-stirring voice even once. It is impossible to stop looking at the stage, we want to catch every move and every sound. They are not simply working. Sergey and his team are living in this show! And I am happy that I got the chance to drown into this magic. And I want to feel these incredible emotions again and again! Crocus met the Artist with absolute "sold out" notice on November, 24. 7,000 hearts merged together that perfect evening. And all this is thanks to the incredible hard work and talent of the Artist, and, of course, with the assistance of his professional team. Sergey Lazarev's The Best show is indisputably the world-level show! Everything is mesmerizing: Excellent vocal of the Artist, live sound, special effects, light show, fiery dances, costumes. The feeling is like you appear in the fairy tale with its own theatrical performance for these 2 hours. Everyone was waiting the Eurovision performance with particular excitement. Once a video about the contest appeared on the screed, the whole concert hall seemed to move for a few months back to that exciting May. The whole Crocus sang You Are The Only One in chorus, and we were crying from the indescribable joy. We were watching this fantastic performance with sinking hearts and tried to catch every movement of Sergey. At this point, a sense of respect and pride for him was simply bursting with all inside. Thank you, Sergey, for your "crazy" energy, dedication and love your fans! Thanks for the charge of unforgettable positive emotions for a long long time! Thanks to the whole team of the Artist they are professionals and do good job everytime! Tula Fan Club in "Crocus City Hall" The Summer of New Ideas project. Video "Stumblin'" The Summer of New Ideas project. Everybody Was Waiting for This Show! Sergey Lazarev's show is always spectacular, it is a riot of colors, emotions, music, dance and overwork of the whole team! And even more so when the show in the heart of the country - in Moscow. That day had finally come. And a lot of people were waiting for it, although no... Everybody Was Waiting for This Show! And full 7,000 Crocus is the best proof. Fan club came early before the concert as usual to show themselves and get to know each other. 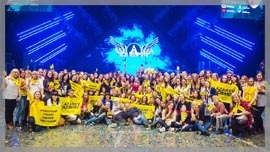 There were so many fan clubs, from different cities, countries and even there were people from Europe and China. Here is the scale! Well, the show started! Sergey Lazarev released from the capsule, positive, energetic and with a bit of "devilry" in his eyes and ... here we go! Block by block, costumes, dances ... The artist was so relaxed and was blissing out from all that was happening. It seemed that the dance floor, where we were, was a part of his show. I am grateful to Sergey Lazarev, that he unites us in such a way. He turns all the kilometers between fan clubs into nothing. 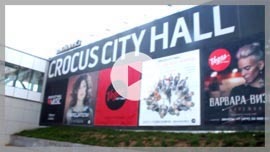 Video "Naidi menya" ("find me") Tumen Fan club in "Crocus City Hall" The Summer of New Ideas project. Video "Breaking away" The Summer of New Ideas project. Faery show, mad energy, enormous charge of positive, and a flood of emotions - all of these is the 100th concert of The Best show in Moscow at Crocus City Hall. Thanks to all the team for this holiday for all of us! They daily put an incredible amount of soul, labor, time and efforts for us to enjoy. After each show, it seems that something better is impossible, but each time Sergey surpasses all the expectations! Sometimes it seems to me that the Artist is from another planet! How? How does he do it? Thank you so much for your talent and professionalism, for your work and for your soul you share with us! Thanks for the show of the highest level, for boundless love to the audience, for 1000% dedication. I cannot stop cheering! Stunning light, live sound, choreography, costumes... new decoration sets, and the highest quality as always! The "sold out" notice – 7,000 people and no free space in the hall. When the whole Crocus is singing with Sergey in chorus and explodes in endless ovation, goose bumps as big as an elephant are running throughout the body and tears are gliding from the eyes – tears of happiness, joy, limitless love and pride for our Artist! Several weeks have already past after the concert in Crocus, but emotions still don't die down. It is still difficult to find the right words and thoughts are confused. How hard is to return to the daily reality! Thanks to everyone who came from other cities and countries and shared those happy moments with us! Thank you, our favorite Artist, for the unity you have given to us! I already miss it, but I believe that all of this will repeated again for sure! See you soon!